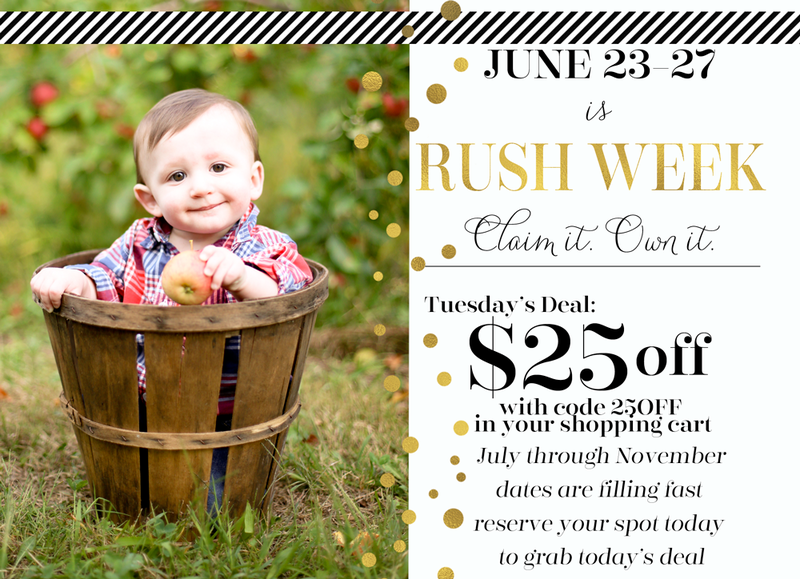 Grab your family portrait session today for your ideal date! Day 2! Welcome back to day 2 of RUSH WEEK. Each day this week during RUSH WEEK I will be offering various incentives. As sessions book each day, less spots will be available. I will do my best to accommodate everyone's preferred date as session payments come in. Now without further ado! Tuesday's incentive... Check back on the blog, facebook, or twitter for the daily promotion.